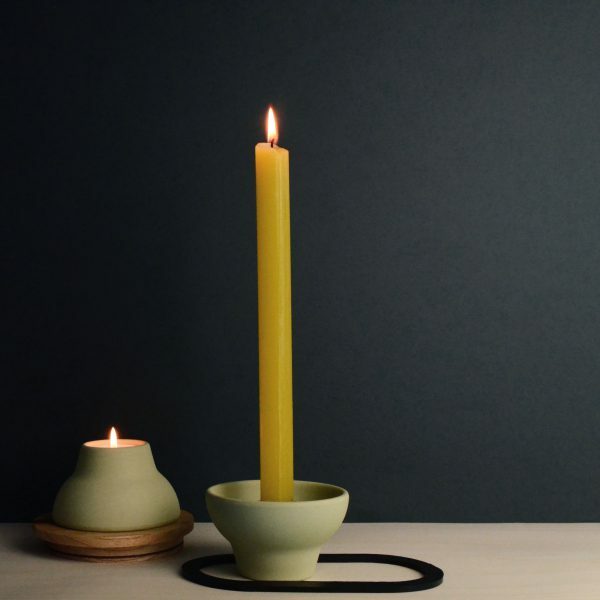 With the double up candleholder you can go two ways. 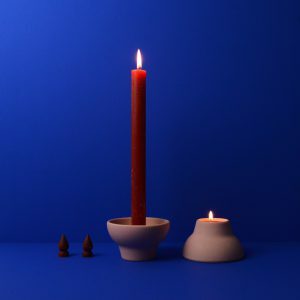 a Romantic diner by candle light, or rather a smaller gesture with a small tea light? No problem, simply turn the candleholder. 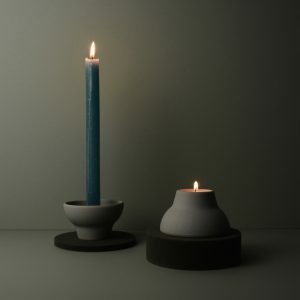 The hole for table candles fits almost all candles and is equipped with a metal cup. On the other side there is a hole for standard tea lights. 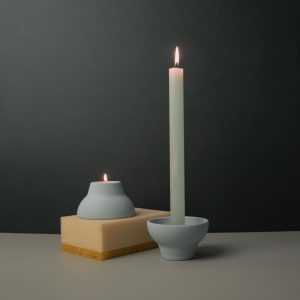 The double up candleholder is made from biodegradable mix of bamboo and corn fibre reinforced with melamine resin. 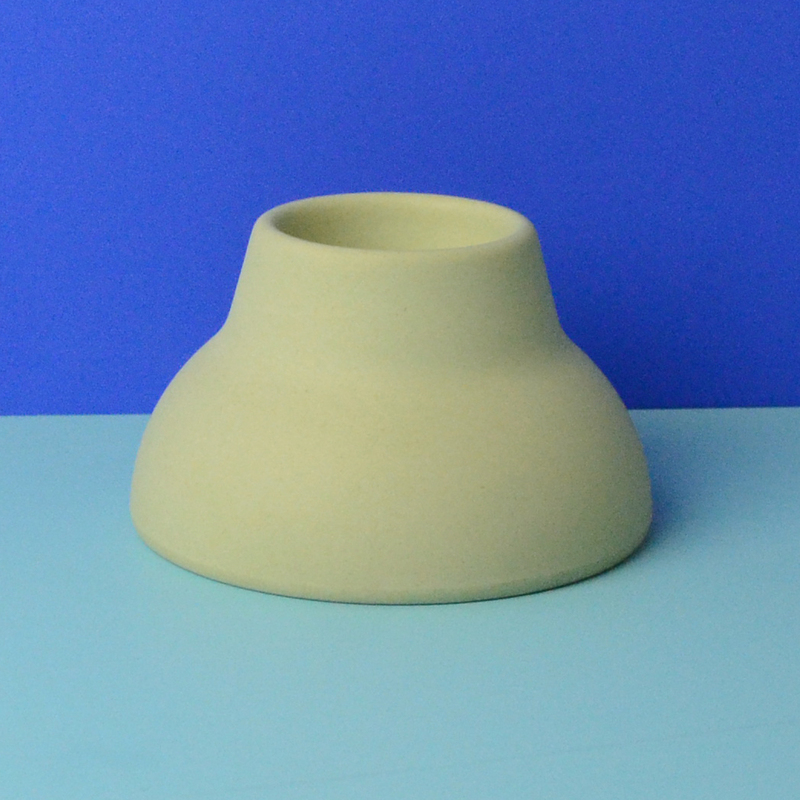 The candleholder is available in 6 different colours: black, white, pink, green, blue and grey. 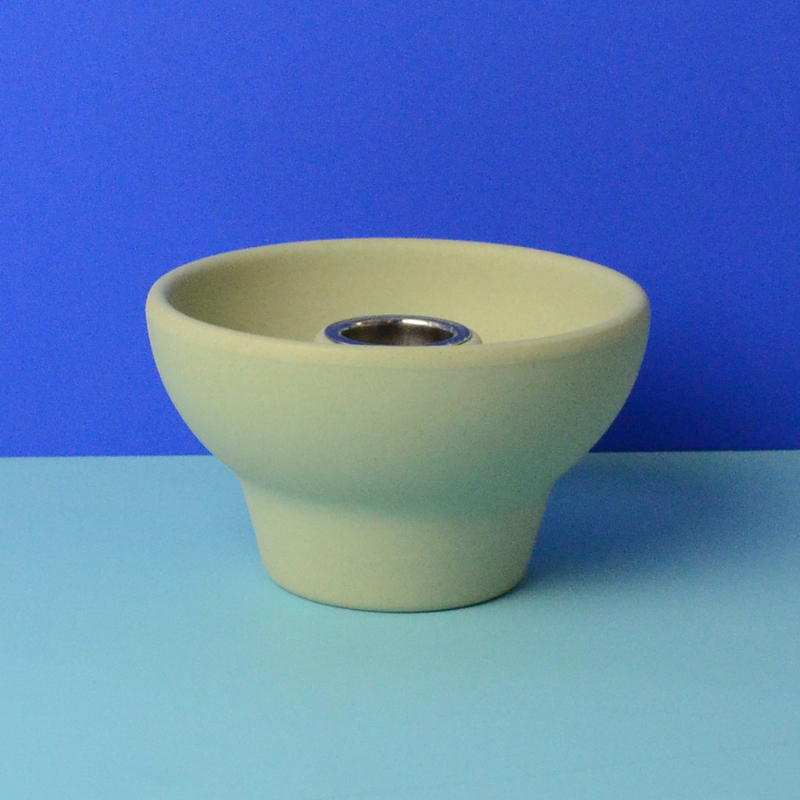 suitable for candles with diameter of 2,2cm (standard) and standard size tea lights. Candles and tea lights not included.